Protean Energy (ASX:POW) has been hard at work recently, with several news breaking announcements. 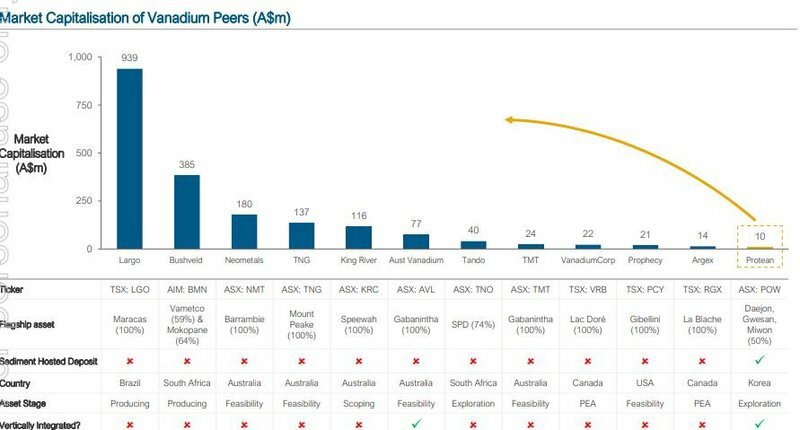 Whilst each announcement, which we will cover in more detail shortly, is worthy of serious attention, it’s POW’s latest news that is sure to put this early stage vanadium explorer further in the spotlight. This week, POW announced the installation of a 25kW (100kWh) V-KOR vanadium battery at the site of OzLinc Industries in O’Connor (Perth Western Australia). The battery will be used in a micro grid situation — isolated from the main electrical grid — in combination with a 21kW solar PV system and a 21kW diesel generator. 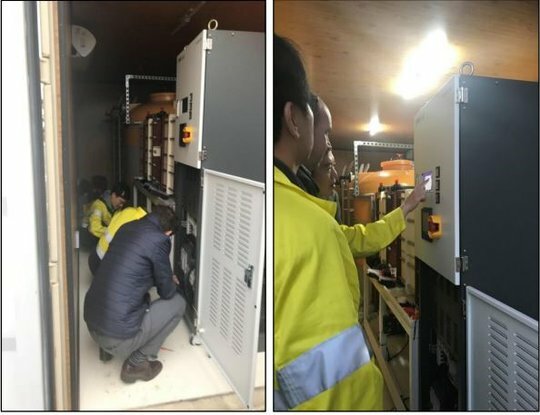 The micro grid trial at OzLinc is designed to demonstrate how the V-KOR battery operates as part of an off-grid solution in commercial/industrial premises. The installation comes at a time when vanadium is in sharp focus as a choice metal, particularly in vanadium redox flow batteries (VRFB), which many believe could be a superior way of storing grid energy than lithium-ion. It is no surprise then that the vanadium price has risen by more than 50% since the start of the year and is up 175% in the last 12 months with little sign of slowing down. Although it should be noted that commodity prices do fluctuate and investors interested in today’s stock should take all publicly available information into account before making an investment decision. POW is looking to capitalise on these conditions and through a $120,000 grant has taken the opportunity to fast track the development and testing of its V-KOR range of vanadium redox flow batteries, specifically the 5kW/100kWh vanadium V-KOR battery that is currently being trialled in Western Australia. 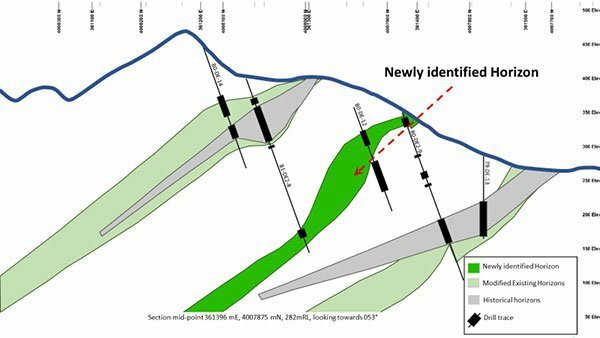 You may remember from our last article ASX Vanadium Junior: A Unique Exposure to the Next Energy Metal, that POW is delineating what could be a world-class vanadium deposit at its Daejon Project in South Korea. 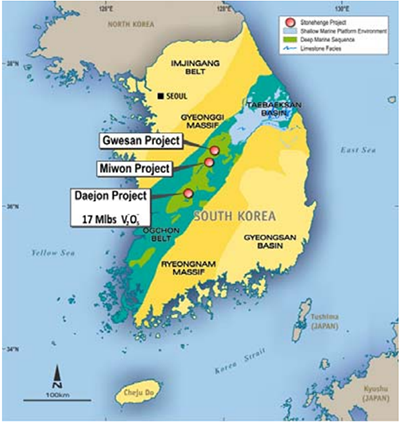 Daejon is a multi‐mineral project that POW has access to through its 50% holding in Stonehenge Korea Limited (SHK). The other 50% is held by DST Company Limited which was recently reinstated on South Korea’s stock exchange boosting the value of POW’s shareholding in its joint venture partner. Through this JV, POW also owns a part share of a battery factory in South Korea that gives it an end-to-end production to processing pathway. On the exploration front, POW is also moving forward at pace having announced the completion of a 3D geological modelling program — stage 1 p-XRF testing — of the Daejon vanadium deposit, paving the way for an interim Mineral Resource in the second quarter of 2018. Notably, modelling to date has identified another black shale horizon that could host additional vanadium mineralisation. What is known is that its assets are unique sediment hosted vanadium deposits, potentially suited to produce the high-purity vanadium pentoxide (V2O5) required for VRFBs. 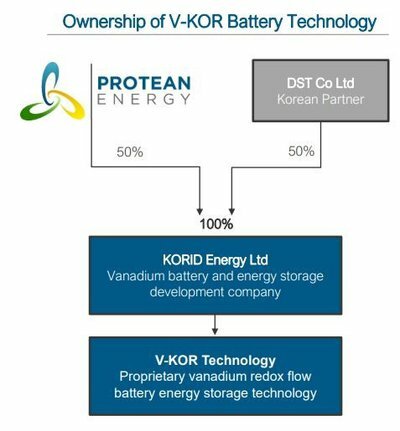 The vertical integration between POW’s downstream vanadium resource at the Daejon Project in Korea and the vanadium V-KOR battery differentiates POW from its peers in the battery minerals sector. Certainly, POW look to have all its ducks in a row as it swings into the second half of 2018 with its tail up and an updated Mineral Resource Estimate due imminently. 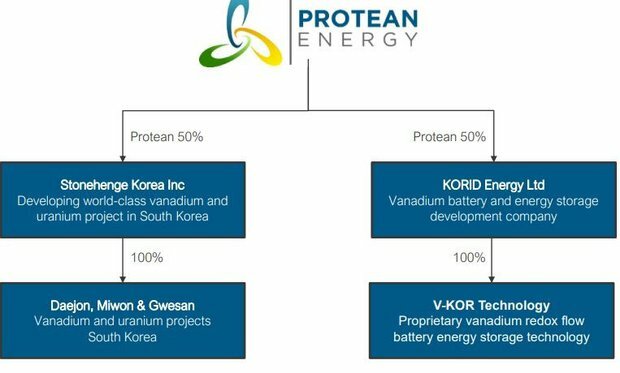 The vertical integration between its downstream vanadium resource and the vanadium V-KOR battery, puts Protean Energy (ASX:POW) in a position of significant strategic advantage in the rapidly expanding battery storage market. According to Bloomberg New Energy Finance, we will see investments up to A$136 billion in energy storage by 2030. 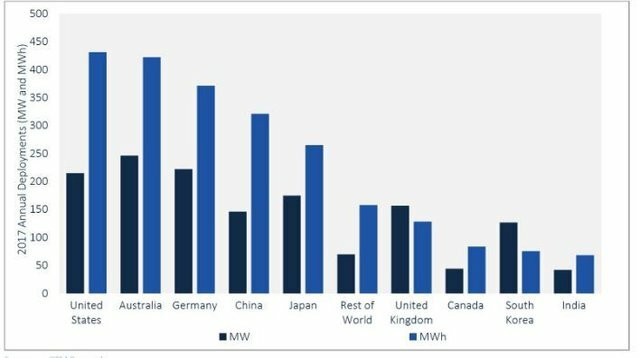 POW operates in South Korea, a developed economy with the advantages of cheap nuclear power, rail, road, access to major population centres and a stable political system that is supportive of overseas mining investment. Its proximity to China is also important as China’s scrap import ban at the end of 2017 was designed to cut approximately 4,500-5,500 tonnes from the country’s vanadium pentoxide (V2O5) production per year. Regulations in China pertaining to the strength of its steel could also see vanadium consumption increase by 30%, or 10,000 tonnes per year. In other words, POW is very well placed not only regionally, but commercially. Now, with the first deployment and micro grid integration for its V-KOR battery under its wing, this vertically integrated vanadium company could really start to fly high. The V-KOR energy system could have immediate long term benefits if the latest announcement is anything to go by. 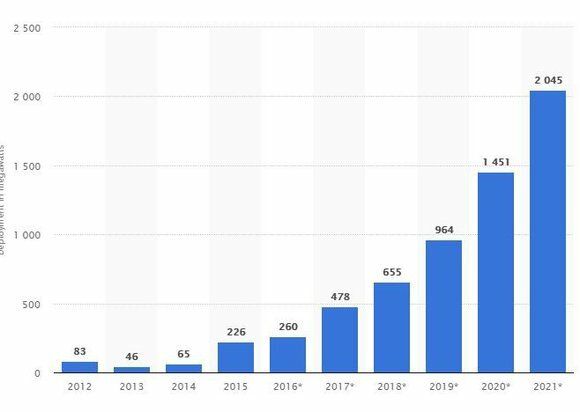 For those unfamiliar with the technology, V-KOR is a proprietary ‘Vanadium Redox Flow Battery Energy Storage System (VRFB-ESS)’, developed to meet rapidly growing demand for more efficient energy storage solutions. V-KOR has been developed over the past five years with patents granted to protect the design. Four stack sizes of flow batteries have been developed to date including a 2.5kW, 5kW, 10kW and 25kW units to provide commercial options to customers with varying energy storage needs. VRFBs can be scaled up to provide large power (1-5 MW) storage units with energy capacity simply increased by electrolyte volume. Here’s a look at 5kW under test (LHS) at POW affiliate PROKOR's facility and the 50kW unit being tested at KCL (RHS). And here’s a look at 50kW/200kWh unit being tested at the Korean Conformity Laboratories (KCL) in conjunction with a 20kW solar array. This test has been in progress for many months and will continue for the foreseeable future to provide invaluable information concerning the product development for the commercial production models. VKOR is a commercial-ready solution, built-to-order for commercial, industrial and grid-scale applications, and has been designed by the JV to be fully scalable — offering solutions from 2kW to 20MW and larger to suit a customer’s specific requirements. It is that fact that makes this first Australian deployment so important as the company, its shareholders and the general public gain a broader understanding of just how powerful this technology could be in future. The installation of the V-KOR vanadium battery at the OzLinc Industries site, will demonstrate how the battery can be used in a micro-grid scenario (isolated from the main electric grid) in commercial/industrial premises. The 25kW (100kWh) battery will be used in combination with a 21kW solar PV system and a 21kW diesel generator. OzLinc is a supplier of pipe, fittings, flanges, valves and hosing to the Australian marine, industrial and resources sectors. The trial will facilitate collection of representatives operating data for the battery, demonstrate charging operation using grid and solar supply and will demonstrate automatic system power stabilisation characteristics given a fluctuating solar supply. The micro grid demonstration represents the first phase of a two phase Australian trial, with the next phase designed to incorporate the integration of the solar system and the V-KOR battery into the Western Power electricity grid. It is expected that the V-KOR battery will be proven as a key renewable energy enabler, used in conjunction with multiple energy systems including solar, wind and natural gas generators. It will also enable customers to store energy when it is available from the grid at off peak rates or when a solar system or wind farm is generating power for free. For remote customers operating off the electricity network this is a very valuable advantage. The V-KOR battery is now progressing towards full commercialisation as POW looks to capitalise on the rapidly expanding global battery market. Perhaps the question should be: why not? When you look at the key advantages, it is little wonder POW’s technology is gaining traction. So, how does it work? Let’s look at it in more detail. The V-KOR systems are a type of rechargeable flow battery that employs vanadium ions in different oxidation states to store energy in the form of two liquid electrolytes. VRFBs, which are proven to have excellent durability and life spans of at least 15-20 years, have an energy capacity independent of the power rating allowing the storage system to be designed for highly specific energy and power requirements. This fact alone makes it well suited to applications with large energy capacity specifications. These batteries are currently used for grid scale energy storage applications where large-scale and long duration electrical energy storage is required and are an ideal solution for growing renewable energy generation sources such as solar and wind. The battery division of the business is highly important for POW, and having an asset that is already in commercialisation phase puts the company in a strong position to meet its downstream ambitions. Its partnership with DST is crucial to moving the battery side of the business forward, but the exploration side is just as important. POW holds approximately $3.1 million in cash, in addition to its A$2.4 million shareholding in DST, placing it in a solid financial position to advance the Daejon Vanadium Project alongside its V-KOR vanadium battery technology. So let’s have a look at the project. 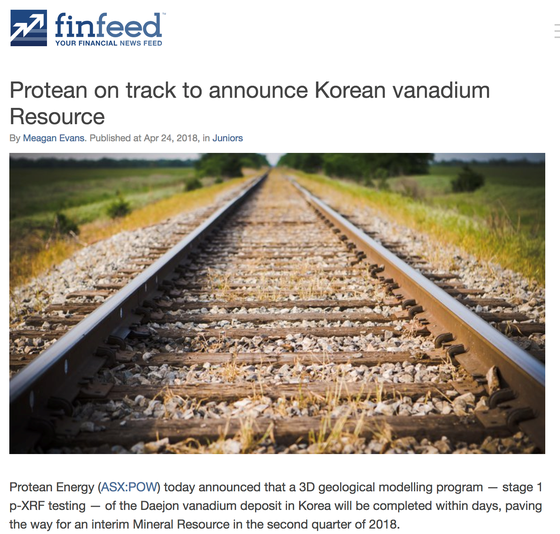 On April 24, POW announced that a 3D geological modelling program — stage 1 p-XRF testing — of the Daejon vanadium deposit in Korea would be completed within days. The program paves the way for an interim Mineral Resource in the second quarter of 2018. That modelling has now been completed and POW has extensively modified the existing black shale horizons. Below you can see the extra black shale horizon identified from the existing geological data which is expected to host additional vanadium mineralisation, as seen on the cross section below. Here’s a look at POW’s projects in the region, including Daejon. An interim Mineral Resource estimate will commence over approximately 40% of the known strike length which will have p-XRF readings over mineralised intercepts. The interim Resource estimate will be available later this year (Q2 2018) and a final Mineral Resource estimate will be undertaken once Stage 2 of the p-XRF testing program is complete. Back in January, POW completed an orientation program which proved the viability of using p-XRF assay methods in informing a JORC 2012 vanadium Resource at the Daejon project. POW then secured access to conduct non-destructive testing of the 36,000 metres of historical core held by the Korean Institute of Geosciences (KIGAM) and commenced testing. 42 high priority holes totalling 2344m of mineralised core approaching completion were tested. POW will now commence a Stage 2 p-XRF sampling program to test 35 holes totalling 2315m of mineralised core. Once Stage 2 is completed, the planned final Mineral Resource update will be available in the third quarter of 2018. Given what it has in its bag, POW sits nicely amongst its peers as a company with a great deal of upside. As you can see by the table below, the fact that it has a sediment hosted deposit and is vertically integrated really does set POW apart. With a raft of news flow to come, there's reason to believe that POW's market cap could begin to rival that of its peers. Of course there’s no guarantee that POW will replicate the success of its peers, so investors should seek professional financial advice if considering this stock for their portfolio. There is a great deal of news flow expected from POW on both the battery and exploration fronts. 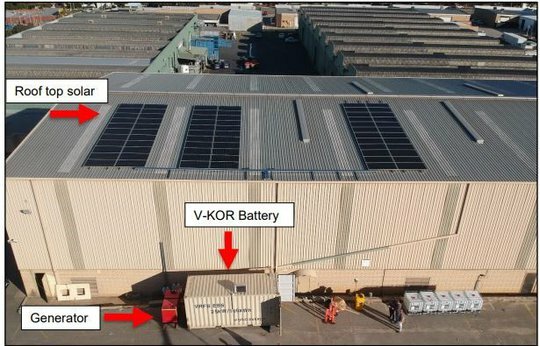 Installation of its V-KOR battery in Western Australia is to be completed this month, along with release of Western Australia V-KOR battery trial terms and the results of the trial in the second half of the 2018 financial year. As for news from Daejong, we can look forward to the completion of Stage 1 of KIGAM pXRF test work, and Interim vanadium Mineral Resource; results from tests targeting high purity V2O5 precipitate in mid-June; a JORC-compliant vanadium and uranium Resource over the entire 8300m of estimated mineralisation strike length by Q3; commencement of vanadium offtake partner discussions in H2 2018; and commencement of a PFS at Daejon in early 2019. Given that amount of news flow, expectations are high for this vanadium junior, particularly as the vanadium and high tech battery markets continue to grow at a rapid pace.